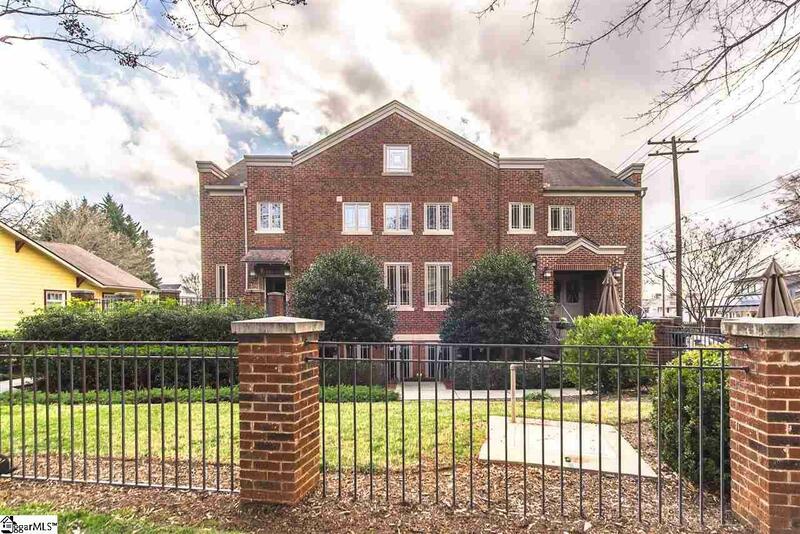 Looking for luxurious condo living within walking distance of downtown? Then this is it! This unit is known as the "Wright Unit, as the church architecture was modeled after the famous architecture of Frank Lloyd Wright, and is one of eight luxury condos in The Hamptons Community. 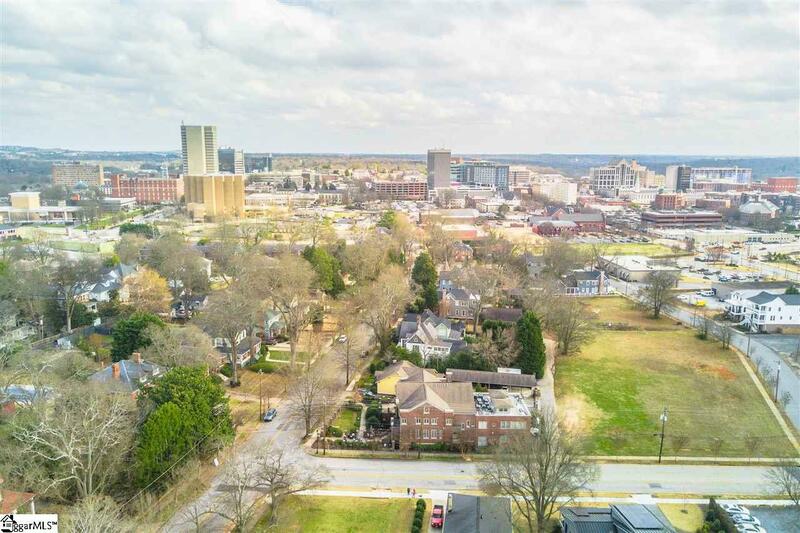 Located in the revitalized former Downtown Associate Reformed Presbyterian Church that was originally built in 1919, this community offers the best of downtown living within the beautiful Hampton Pinckney Historic District. Each unit in this complex is completely unique. 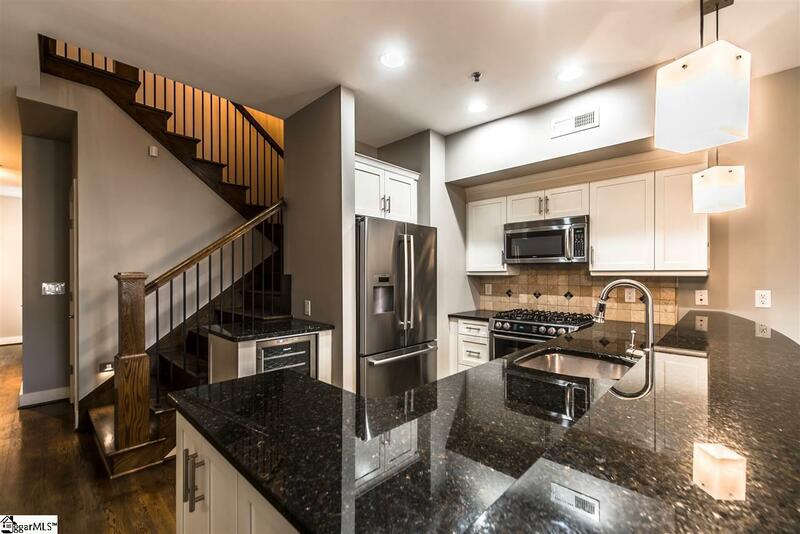 This townhouse has been updated to include only the finest luxury details. 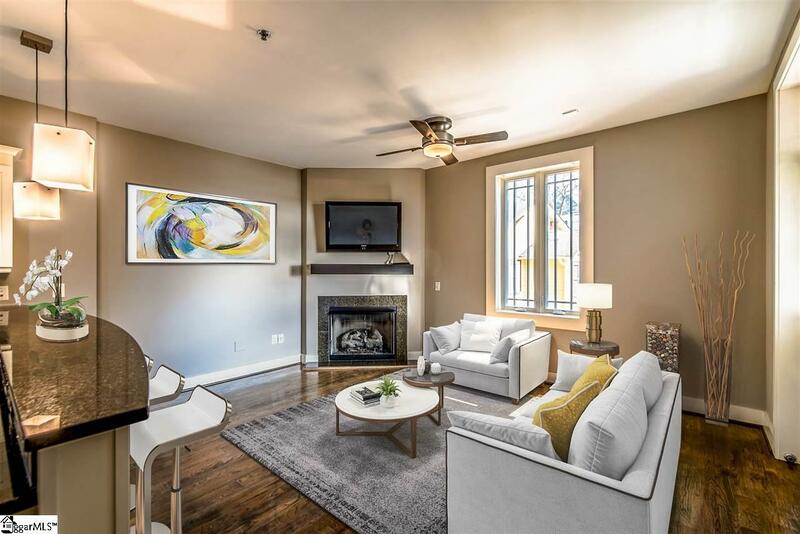 The townhouse presents beautiful hardwood floors throughout the living areas, bedrooms, and hallways, with European quarried travertine in the full bathroom. The kitchen features granite countertops, stainless steel appliances including a gas range, and beautiful custom built cabinetry. The upstairs boasts exposed rafters, which add additional architectural style and charm. Outside this unit has its own private patio, perfect for pets and grilling out. The condo also comes with two parking spaces, one covered and one uncovered. The covered space features additional cabinet storage and hanging room for bikes. The community is fully gated with brick columns and gas lamps, and features professionally designed and maintained landscaping. The Hamptons is located walking distance from Main Street, the Swamp Rabbit Trail, and the Salvation Army Kroc Center and tennis facility. The neighborhood boasts a vibrant community of neighbors that love living in the area. Join your neighbors for Flamingo Friday socials in the summertime and the Christmas Walkabout during the winter. Come see what living in The Hamptons is all about!